Rainbow Six Siege Operation Para Bellum adds two new operators from a whole new nation: Italy. Alibi and Maestro hail from the prestigious Gruppo Intervento Speciale (G.I.S.) 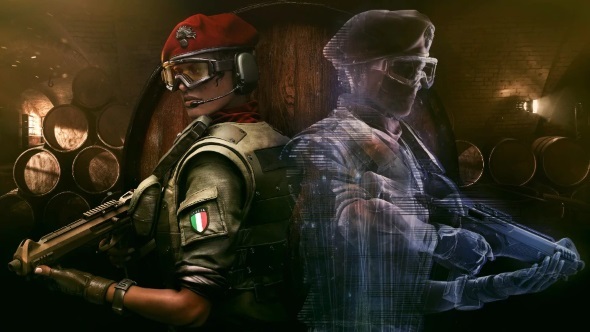 special forces, and these Italian Rainbow Six operators promise to bring two fascinating new abilities to the defending side of Siege. 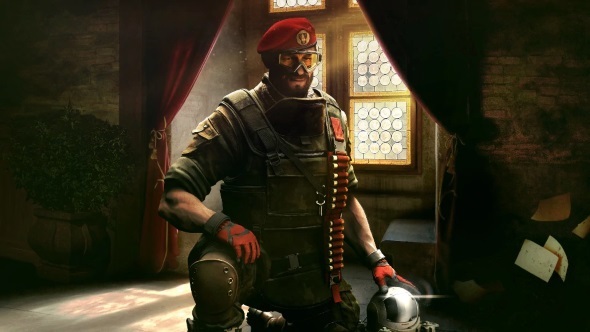 Mirroring Operation Chimera, which added two attackers to the game, Operation Para Bellum adds a duo of defenders. This will balance out the sides, offering 20 options for both attackers and defenders. That means we now have exactly double the amount of operators than when Siege launched at the end of 2015. How far we’ve come, eh? And the game is undoubtedly better for it. Love Rainbow Six? Why not try some of these other top shooters? The addition of G.I.S. brings with it an Italian-flavoured arsenal. Present and correct is the Beretta Mx4 Storm submachine gun; a modern, almost futuristic design that has rarely been seen in videogames. Joining it is the Keratos .357 revolver, which appears to be based on the Italian Rhino D40, and the Bailiff 410, which resembles the Brazilian Taurus Judge shotgun revolver. Both new operators can use the ACS12 automatic shotgun, but the real star of the show is the new ALDA 5.56: an LMG that can be equipped with an ACOG sight. This is a real mix up for defender loadouts. The stars of the show, though, are of course the unique gadgets that can be deployed by Alibi and Maestro. To find out more, see our detailed breakdowns below. Inspired by the undercover infiltration specialists from Italy’s Raggruppamento Operativo Speciale unit, Alibi uses Prisma holographic decoys to force attackers to play their hands and engage with incorrect tactics. She has been designed to be an incredibly effective roamer. Alibi carries three Prisma devices, which deploy a hologram that looks identical to her. They are completely static and unable to move, but work as effective decoys to draw enemy fire. When shot, the holograms briefly flicker, alerting the attacker to the fact that they’ve been fooled. Not only that, but the attacker will then be tagged, allowing Alibi to see where they are in a manner almost identical to Jackal’s tracking system. Not content to have just a cool gadget, Alibi also has a passive ability. When running out of bounds, her identity is scrambled. While the attackers will be alerted to an enemy being out of bounds, they won’t be able to see who it is. This applies to everyone on Alibi’s team, which should lead to interesting run-out tactics. Alibi’s primary weapon is the Mx4 Storm submachine gun or the ACS12 automatic shotgun. The SMG is pretty standard defender fare, but the shotgun is a terrifying 30-round beast that shreds wooden walls in just a few seconds. For a sidearm she can opt for either the Keratos .357 revolver, or the absurd Bailiff 410 shotgun revolver. Alibi is the code name for Aria de Luca, a Libyan woman who immigrated to Italy as a child. Her father’s work in the ordnance business introduced her to guns at a young age, and by 18 she was a Gold-level European Championship shooter. After a stint with the Italian police, de Luca moved into the elite Raggruppamento Operativo Speciale where she fought organised crime, before finally earning a spot in the Gruppo Intervento Speciale, operating as an undercover agent. Designed to block access to key locations and see through attacking smoke and mirror techniques, Maestro is an anchor defender inspired by the GIS’s explorers and scouts. Maestro’s gadget is a hybrid of intelligence-gathering camera and defensive turret. Deployed like Jager’s ADS, it’s a large, spherical bulletproof camera that can be remotely accessed by Maestro’s phone. When accessed, the bulletproof shutters on the front of the camera can be retracted to reveal a laser that can then fire at enemies. This laser only does five damage per hit, but has incredible range and can work as an effective distraction tool. It can also destroy gadgets, so enemy Thermites and drones beware. Players using the Evil Eye must be careful, though. While the camera is bulletproof it can be damaged by explosives and Sledge’s hammer. It’s also vulnerable to gunfire when the laser is exposed. The laser also generates heat when used, and can overheat if you fire it too many times in a row. Maestro’s main weapon is the ALDA 5.56, a light machine gun with roots in the classic WW2 MG42. This means the defenders are finally getting an LMG as part of their arsenal, signalling a shift from their exclusively SMGs and shotguns loadout. Whatsmore, the ALDA can even be equipped with an ACOG sight. It’s all your Christmases come at once. If this doesn’t appeal, Maestro can also use the ACS12 automatic shotgun with its 30-round drum magazine, and has access to both the Keratos .357 magnum and the Bailiff 410 shotgun revolver for a sidearm. The man behind the Maestro code name is Adriano Martello, a veteran of several distinguished tours as part of the Carabinieri’s 1st Paratrooper Regiment. After qualifying for GIS, Martello was part of a joint operation in Iraq where he was injured by an IED. The injury led to Martello quitting GIS in order to become a private military consultant, but he finally returned to active service as part of Rainbow. This season’s Pro League finals start May 19 and will be broadcast on Twitch, giving us a much better look at what to expect from Para Bellum. We’re expecting the actual release date to hit in early June.